Bloody hell....thats some list scanning thru the vast majority are very unsuitable. Is there a shortlist? Lots of things like Butterflys anf Angels grow too large and eat corals,puffers and triggers are much the same. Dottybacks with the exception of royals grammas are as fiesty as damsels and as much trouble. Most blennies are OK as are most wrasse ,but not all. Mandarins and scooters are fine if you can provide the food . Tangs do like lots of swimming space but at 240litres is it pretty near four foot long? Do you have a perticular yearning for any of the above? Well if its near on four foot ,then yes you could have a tang ,a juvi majestic angel ,or a couple of dwarf angels. When you get say a juvi majestic and the book says they grow to 10 inches ,they are unlikely to do that for a very long long time in a smallish tank. Fish that is sposed to reach a foot will most likely get to 8inches from 4 over say five years or so. Exception ime is the Regal tang ,they do grow reeeely quick. 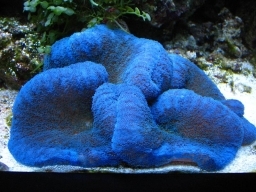 The Majestic or any angel will munch on your corals,less likely than say an emperor,but the possibility is there. I think and some one will give you a difinitive answer who has had one that the blenny will be fine. Tangs are safe coral wise ,just consider size. Theres lots to choose from. If it were me, I'd snap up the pair of Watanabei angels. A one spot foxface could work too. I had one in my 4 ft tank. They one of the smallest rabbitfish, great colour, swim around quite a lot, so you'd see the yellow moving about, and great algae eaters (they eat every algae I've ever had, so keep the tank nice a clean). They're common too, so you could get one ordered in locally instead of travelling to get one. @HK_Fuey I'd looked at the one spot and do like it. Being an algae eater would be a good bonus along with the colour. The shop is only about 25 mins away straight down the a19 so not far away really. Go for it. Don't freak out when it changes colours and looks like it died. Google them, and you'll see what I mean. Great camouflage. Also, be aware they have venomous spines, so don't handle it. It's not lethal, but apparently pretty painful if you get caught. They're quite skittish, so it'll run away rather than try to attack you. They tend to as Graeme said stay away from you,however they lurk where you might least expect so if u do need to rake around just keep an eye on where it is. Ive had a plain yellow one,which did get quite big.and the prettier one,magnifica or something. They do go as muntioned weird colours when spooked or asleep. Do you like this fish tank?